There can be few horses in training who deserved a Group 1 victory more than Lightning Spear. The seven-year-old had been placed in six races at the highest level – all Champions Series races – but a victory at the highest level has eluded him until it finally all came right in the 2018 Qatar Sussex Stakes. He travelled typically well in the Goodwood feature and quickened clear under Oisin Murphy when invited to put his stamp on things. At the line, he had a length to spare over Expert Eye and in an instance 15 previous defeats in Group 1 1 races were forgotten. 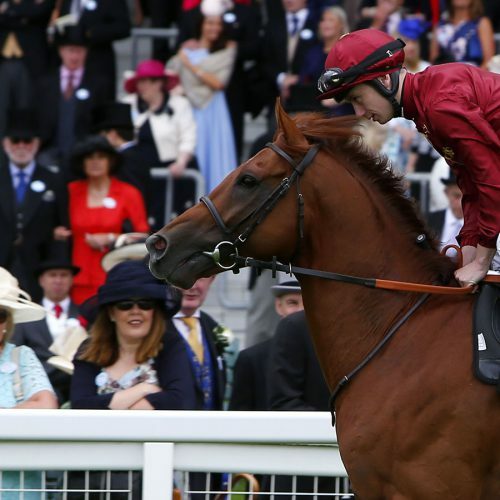 On his return in 2018, he was pipped a short head by Rhododendron in the Al Shaqab Lockinge Stakes at Newbury – the pair clear – and then he finished a close third in the Queen Anne Stakes at Royal Ascot after trading at 1.14 in-running on Betfair. In between all the near-misses he has won the Group 2 Celebration Mile on two occasions at Goodwood. On his past two starts he has been unable to land a blow in the Prix du Moulin at Paris Longchamp or Queen Elizabeth II Stakes.